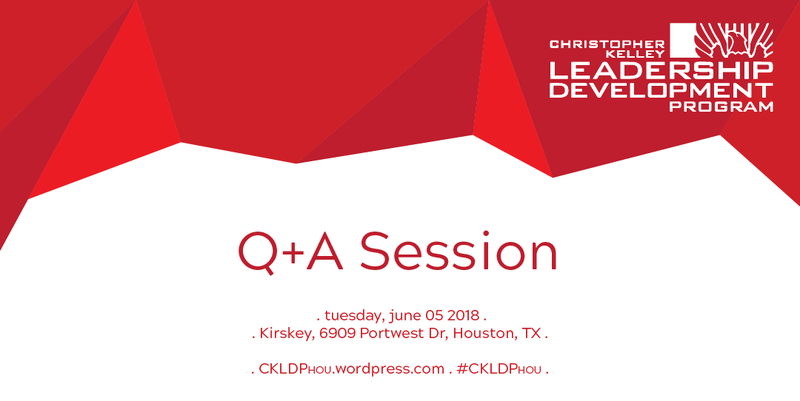 Want to know more about the Christopher Kelley Leadership Development Program (CKLDP?) Not sure whether to apply? Join us for an informal Q+A Session where we’ll discuss the program, schedule, application requirements and materials. The Christopher Kelley Leadership Development Program (CKLDP) was founded in 2013 by the Emerging Architects Committee as part of the AIA|DC Chapter. Since its founding, the CKLDP has been established in Washington DC, Denver, Detroit, Miami, Georgia and Houston, and strives to carry forward Christopher’s legacy by actively training and nurturing the next generation of leaders within the architectural profession. The year-long program consists of nine individual half-day sessions attended by a competitively selected group of 16 emerging professionals from Houston. The curriculum focuses on core skills such as entrepreneurship and firm management, the art of negotiation, bringing in new clients, community leadership, industry culture, and developing one’s future within the practice.